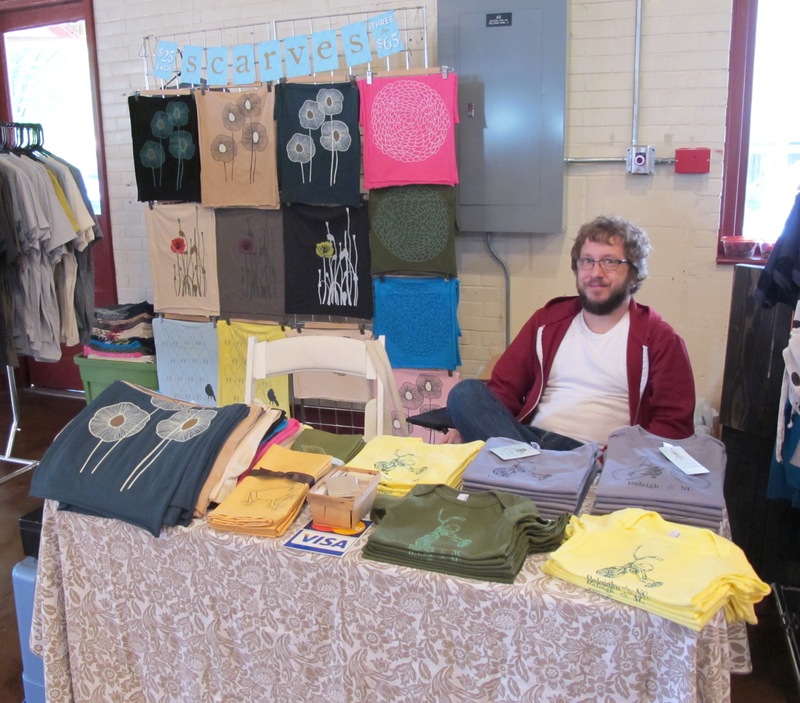 This weekend I had the opportunity to venture to Raleigh to participate in the Handmade Market for the first time. The event has been taking place since 2006 (!) and the Handmaidens have held it twice a year since. 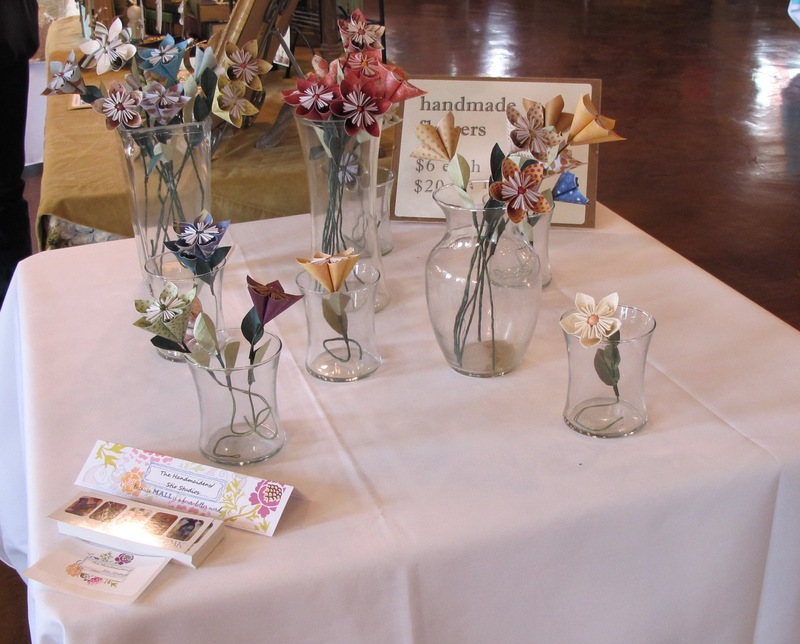 There was a fantastic mix of vendors at the show and the Handmaidens and the volunteers were lovely. 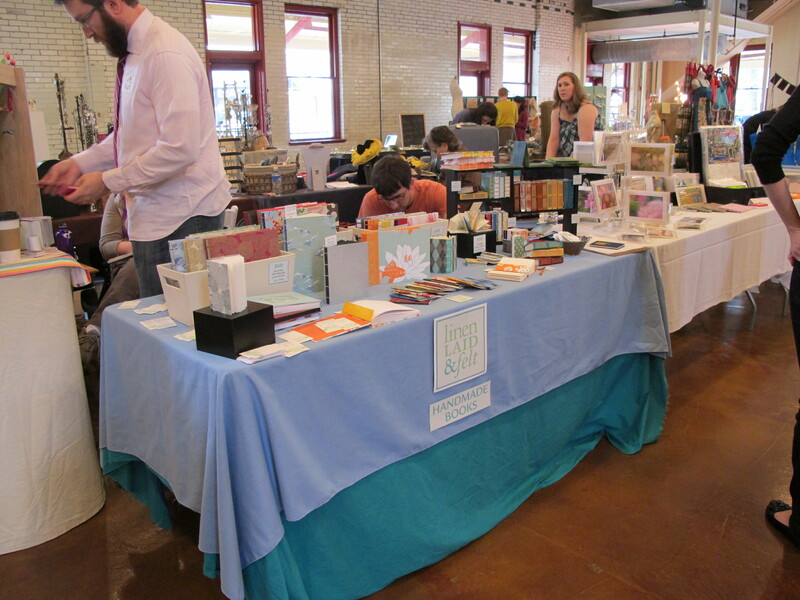 It was my first event sans Wayne, so I was a bit nervous about getting there and setting up alone, but other than one broken box and a missing in action display piece, it went quite smoothly and everyone was more than willing to help. I'm a bit embarrassed to say that although we lived in Durham for over a year, this was my very first time to visit downtown Raleigh. Cobblestone Hall itself and the area around it was gorgeous. I'd like to go back when we have time to visit the shops & restaurants. Normally I ditch Wayne part of the way through the event to run around and take some pictures to share on the blog. 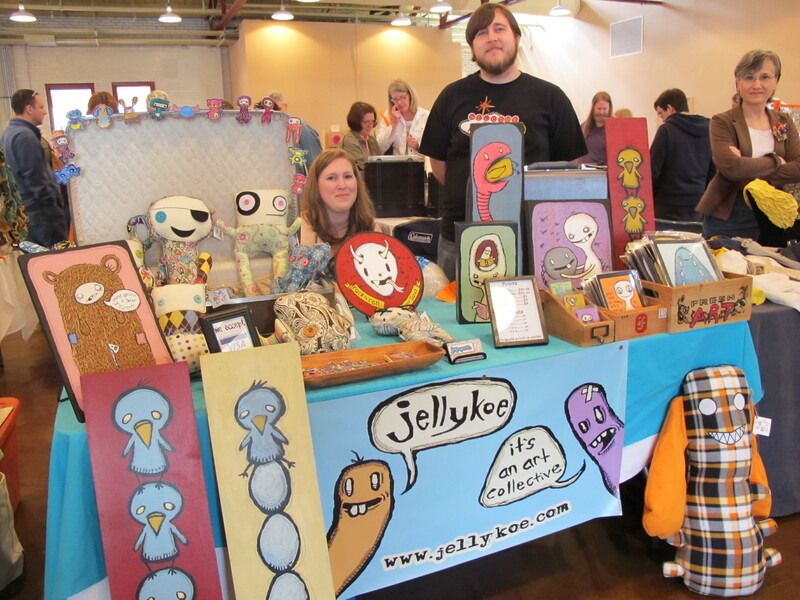 As I was flying solo, I set up and then took some shots while others were finishing up their booths. I do wish I had more pictures from during the event so you can see all the activity. 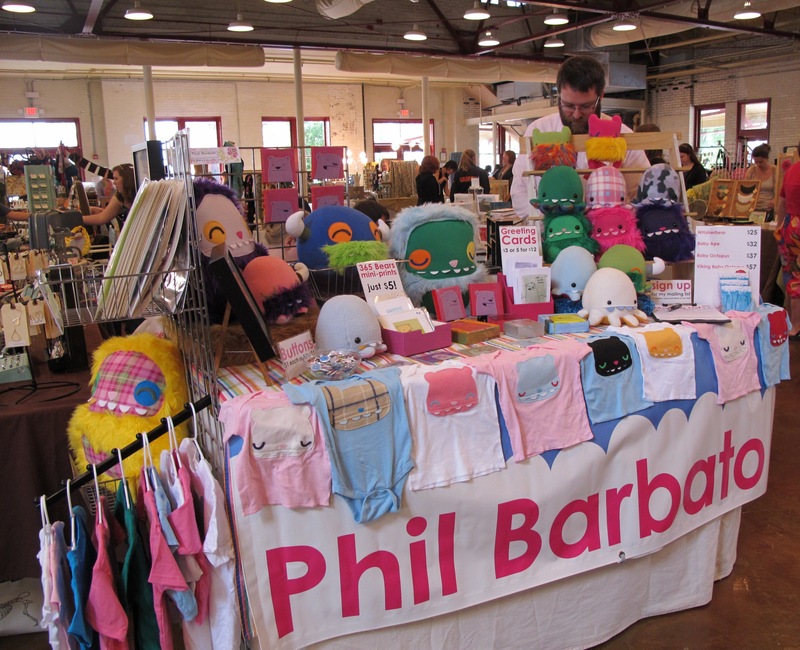 Here are a few shots I took of the some of the vendors as well as links to their sites: Phil Barbato had cute plush toys One of the handmaidens had these amazing paper flowers. You have to click for a larger version to appreciate the detail involved....so pretty! 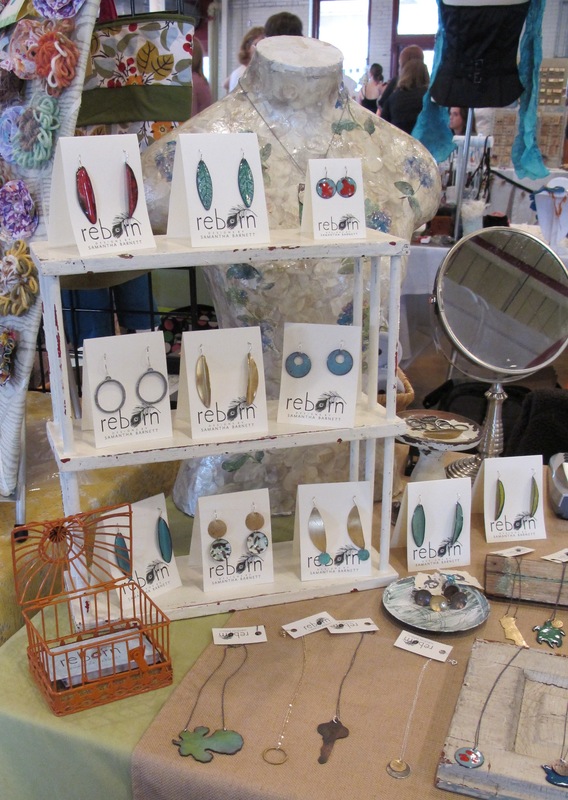 Samantha at Reborn Designs had some gorgeous earrings I loved the little books that Linen Laid & Felt had....so beautiful! And the scarves from Flytrap are gorgeous! Everytime I looked over at Jellykoe I giggled a bit. Their stuff was so fun. 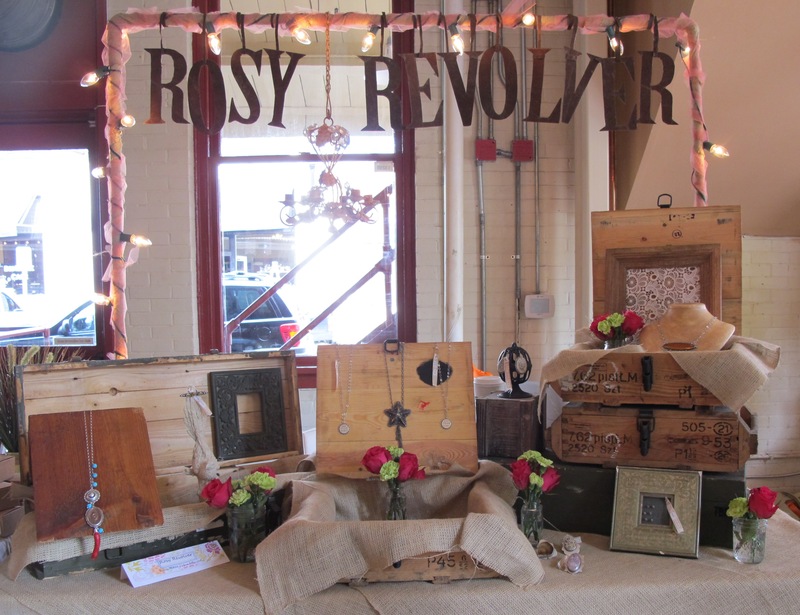 From the moment I walked in, I wanted to visit Rosy Revolver. I heard two different people mention getting very cool jewelry from her. By the time I made it over to the booth she had been cleaned out! I took a picture all the same and promptly feel in love with a pair of earrings. Maybe it was better that I was tied to the booth? This could have been a very expensive show for me! I did manage to get a mother's day gift from Twist (shhhh...don't tell Bonnie) and treated myself to Thai AND veggie sushi over the course of the trip! 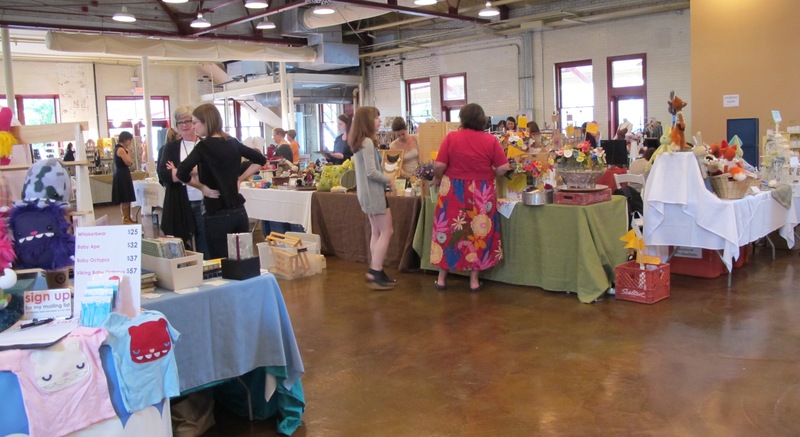 I was able to talk with several of the vendors and even met a fellow teamie from Etsy (how fun is that?!?). 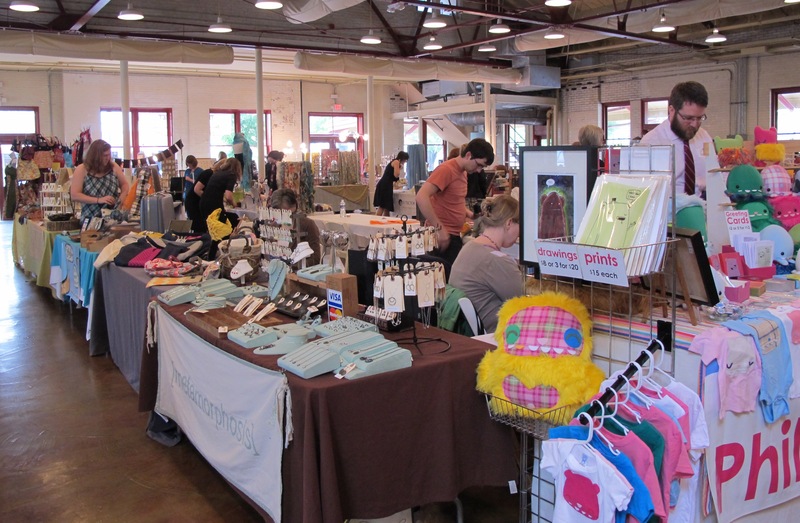 Michelle S. and Twist Style were on either side of me and I did the most visiting with them, but I also met two of the other soap vendors who wandered over and introduced themselves. Everyone was so kind. The short version of this long post? If you are in the Raleigh area, you should definitely check out this show in November. It was lots of fun and we're looking forward to participating again. Like us on Facebook to find out what other events we'll be attending this year. Our calender is filling up quickly! I still have yet to visit Raleigh. It’s been on my to-do list since moving here last August. 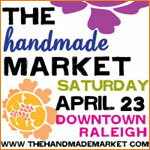 Seems like all the fun artsy stuff happens in Raleigh! I hope you had fun!